I started using Affinity a couple of weeks ago and in general this is great to work with (I do not do many things with it) - but today I am struggling with a probably very simple problem. I just want to convert a picture into B&W by using the small adjustment button on the right and it always opens a new empty "black and white adjustment" layer - which seems to be empty and with which I just can't do anything. What is wrong with my approach? Any settings wrong? Is not clear what's going on from the screenshot. 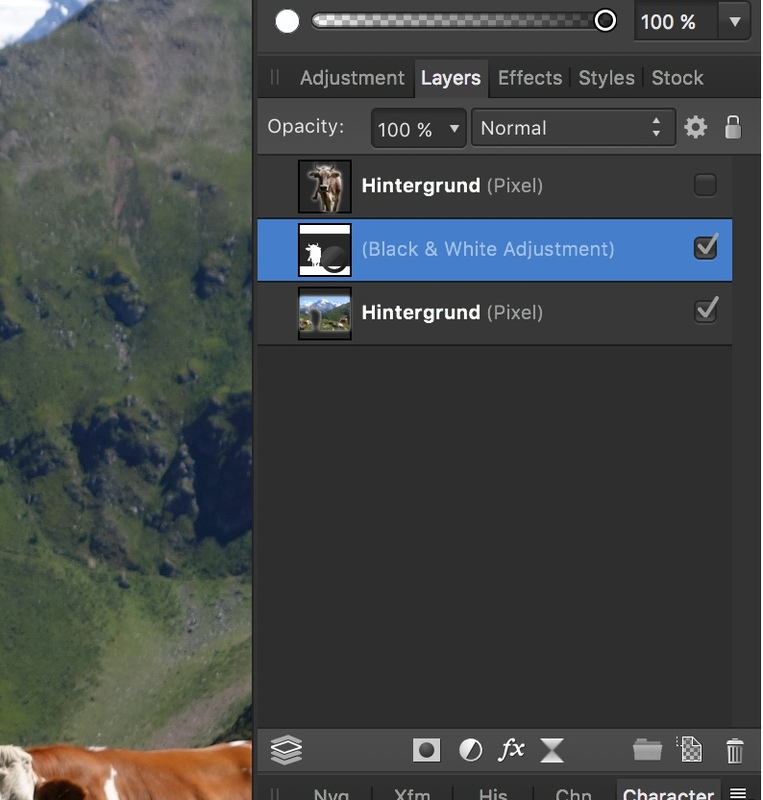 It seems you are adding a B&W adjustment layer with a mask of the cow, but in the underneath layer, the cow has been cut out? Anyway, if you want to use the B&W adjustment when you create the adjustment make sure you don't active selections or the adjustment will apply only to what you have selected.